We are a family-owned business. 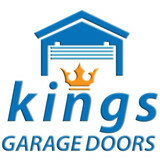 Kings Garage Doors has been the unrivaled provider of superior garage door services. We are hiring certified technicians who are well-equipped to provide you the high-quality and efficient service you need. Our main focus is customer satisfaction and exceptional service. Our technicians know what it takes to make a garage door operational, safe and reliable. We will do the job right, the first time! Our commitment to customer satisfaction guarantees you will be happy with our result. 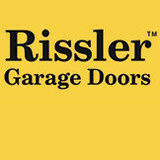 Harlan Rissler started Rissler Garage Doors in 2003. At the beginning, we did everything from pole buildings to roofing projects. However, we wanted to focus our resources and talent on doing one thing, extremely well. After receiving feedback from several customers, who raved about our door installation and service, Harlan discovered that our true calling was working with garage doors. Harlan made the decision to only work with garage doors. since that time, Rissler Garage Doors has been dedicated to serving your garage door needs. This means when you call Rissler Garage Doors, you will receive undivided attention. All of our technicians are trained on door maintenance and installation. New technicians go through a rigorous hands-on training course, before being allowed to help other technicians on site. Rissler Garage Doors also has a dedicated customer follow-up system, so if there is ever a problem, for any reason, it can be tracked back to the exact technician and fixed. To schedule one of these experienced technicians, give our Service Manager a call at 717-738-DOOR, and he will be happy to help you. If you are interested in a new door, we will be glad to give you a free, no obligation door consultation. The ONLY Overhead Garage Door Company in Media PA selling a Wide Range of Garage Doors from Custom to Standard Styles and Matching Entry Doors. Since 1977, families and businesses have relied on us for all of their garage door needs. We're a family-owned business that takes pride in every job. We offer outstanding customer service at affordable rates. All work is done by us - never subcontracted - and I personally oversee every job to ensure that it meets our high standards. Whether you need repair service, an upgrade, parts, or a brand new door or opener, you can count on us for a job well done. 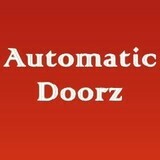 Automatic Doorz is a local Howard County company that has been in business since 2000. We strive to offer our customers the highest quality service at reasonable prices! In addition to offering outstanding workmanship, our staff is friendly and eager to answer any of your questions. We repair all name brands of Garage Doors and Garage Door Operators We're a garage door company that provides residential garage door repair, commercial doors, operators, service and installation services throughout Maryland. Since 2000, we have been putting our customers first by providing outstanding service at reasonable prices with expertise of over 20 years in the garage door industry. As a trusted garage door contractor for Sears and Lowes, as well as a certified Clopay and Amarr dealer, we can service, repair or replace any door or garage door operator manufactured today. Clarks Garage Door & Gate Repair is at your service twenty-four hours a day, seven days a week. So we are there when those unfortunate emergencies happen. Someone is always available to answer your call and your questions, three-hundred and sixty-five days a year. It does not matter the make, model or what parts are needed, we can do it! New installations? No problem at all. The best part of new garage door installations is that we have a wide variety of garage doors to choose from. We know you will be satisfied. Also check out our automatic and electric gate repair services. 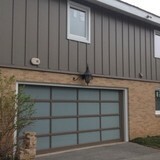 Need garage door installation services? Call us. If you’re thinking of having a new garage door installed, we hope you will consider allowing us to handle the job for you at Garage Repair King. To make sure the job is done right, allow our highly skilled and qualified service technicians attend to your garage door service needs. We install all of the components of your garage door including your garage door opener. With routine maintenance, we can keep your garage door in tip-top shape. Our technician will check your rollers, springs and your remotes. Their job is to make sure that everything is in good working condition so that you can go on using your garage door as usual. If you want to have a new garage door installed, let us help you with this. We can help you find a door that is better suited for your needs. We have knowledgeable associates who are capable of consulting with you about your service needs. Make sure you rely on Garage Repair King when you need the services of a qualified garage door service technician. If you want to become the envy of the entire neighborhood, just let our technicians install a new garage door for you today. If Ardmore Garage Door Repair is called upon to assist you with your garage door installation or repair needs, you can be sure the job will be done right. We are able to give you such assurance because we employ the best and most qualified garage door service technicians in Ardmore, PA. Our locksmiths are well-trained and qualified to assist you with all of your garage door service needs. You don’t have to make the installation of any part of your door a DIY project when Ardmore Garage Door Repair is just a phone call away. We’re here for you when you need us no matter how big or small the job might be. Everyone will be treated with the same level of professionalism regardless of the extent of the job that you need performed. If you’re in the market for a brand new garage door but are not sure which type to have installed, you can call on our knowledgeable associates to offer you the help that you need. They know which type of door would look best for your style of home. This is something that isn’t always considered by the homeowner until we bring it to their attention. We’re able to offer you the help that you need at a price that you can afford. At Ardmore Garage Door Repair, we will work with all of our customers to make sure they get what they pay for. Let us help you with your garage door service needs. If Wynnewood Garage Door Repair is not able to handle your garage door service needs, no one can. We are the best and most efficient garage door service in Wynnewood, PA. There is no reason to go anywhere else for the help you need for your garage door. If you need installation or repair services for your garage, call on the best at Wynnewood Garage Door Repair. We have a team of the most qualified service professionals in Wynnewood working with us. They are the reason so many depend on us for their service needs. When you do not want to simply throw your money down the tube, you won’t have to as long as you continue to rely on the services of Wynnewood Garage Door Repair. We are able to make sure that you can get what you need at prices you can afford. You will not have to worry about whether or not the job will be done right as long as one of our Wynnewood service technicians is on the job. We only work with the best and most qualified in Wynnewood. Suppose you are in need of a new garage door, you’ll need to hire someone with the skills and qualifications to properly install it for you. Do yourself a favor by relying on the services of Wynnewood Garage Door Repair. To make sure you’re able to get the quality of work you want and deserve, give us a call and you will receive guaranteed satisfaction. When you are in need of a garage door service to help install a door or repair an existing door, you can rely on the services of Spring House Garage Door Repair. Let us show you what we can do to help you with your service needs at Spring House Garage Door Repair in Spring House, PA. We work with all sorts of garage doors, aluminum, steel, fiberglass and wood. Make sure your able to get a door that you will be proud of. You don’t want your garage to be an eye sore. If you have a door that is in need of some TLC, let us provide it to you. We work with a team of the most qualified locksmiths in the area and this is why we can provide you with the best services possible. No matter what your garage door needs are, we are sure we’ll be able to effectively attend to them. To make sure you’re capable of continuing to use your garage door, make sure you get any repairs you need as quickly as possible. You can receive the help that you need from Spring House Garage Door Repair. No one is better suited to assist you with your service needs. Allowing us to attend to your service needs means you’ll be able to receive the help you need in a timely manner. We work hard to make sure that our customers are happy with the services that we have to offer to them. If Garage Door Repair Haddonfield is called upon to handle your garage door repairs or installation needs, you can be certain that the job will be done right. We are the preferred garage door service in Haddonfield because we know how to deliver the quality of service that our customers have come to expect of us. With a team of highly skilled and competent service technicians on the case, you can be sure that the job will be taken care of in no time. Garage Door Repair Haddonfield will help you with your service needs no matter the extent of the job. We prove that we are the best for the job every time you turn to us for your garage door service needs. When the door of your garage will not open or close, this is a clear indication of a problem that should be addressed. By ignoring the problem, you will only make matters worse for yourself. Let us attend to your service needs as quickly as possible so that you are not left with an even bigger problem on your hands. At Garage Door Repair Haddonfield, we have all that we need in order to provide you with the best quality of services possible. Make sure you’re able to get exactly what you pay for by calling on us for your garage door service needs, We make it possible for everyone to receive the help they need by offering the most affordable prices around. We offer guaranteed satisfaction. What types of garage door service tasks do contractors in Chatham, PA provide? A damaged garage door can lead to increased security risk, ruined belongings and an unpleasant exterior, so look for Chatham, PA repair professionals who provide same-day or emergency services if the damage is extensive and poses a potential health and safety risk. 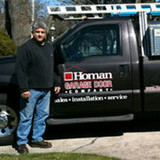 Find Chatham, PA garage door repair professionals on Houzz. Narrow your search for garage door repair professionals by selecting the nearest city or zip code. Look at portfolio and product photos, and read reviews to find the best garage door contractors in Chatham, PA for your home.